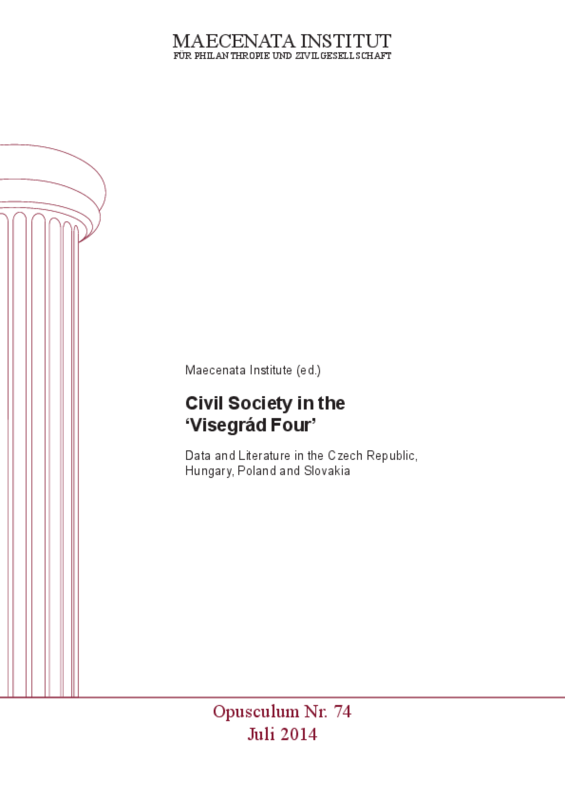 The first of three publications on the '25 Years After -- Mapping Civil Society in the Visegrád Four' project contains an overview of existing data and literature in the Czech Republic, Hungary, Poland and Slovakia. It looks at where and what kind of research on civil society has been and is being done, who is doing it and where the gaps are. To be consistent and comparable, the four country reports include the same core sections: relevant publications on civil society in the respective country; existing databases and other data sources; active centres of research, training, and policy studies. More than providing just a list, this report looks at how they can be evaluated in terms of scope, accurateness and depth. Finally, it considers the question of what the most crucial gaps in research and funding in the countries are. An academic volume is slated for the end of 2014. For other publications in English and German, see www.maecenata.eu.